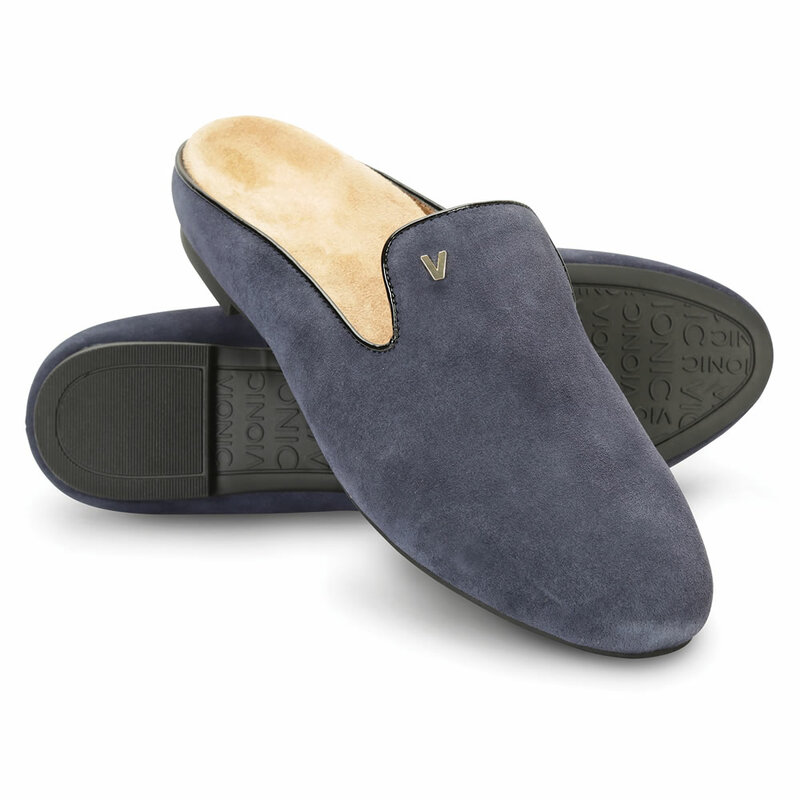 These are the suede mules that help combat heel pain associated with plantar fasciitis. The smoking slipper-like shoes contain deep heel cups molded into shock-absorbing microfiber wrapped EVA footbeds that align the feet into a natural position for those who over-pronate—when the heel bone angles inward. The biomechanical footbeds provide optimal comfort and support when the mules are worn for at least a few hours per day over the course of two weeks. The flexible soles are made from resilient rubber molded with a slip-resistant pattern. Imported. Navy. Women’s whole sizes 6-10. 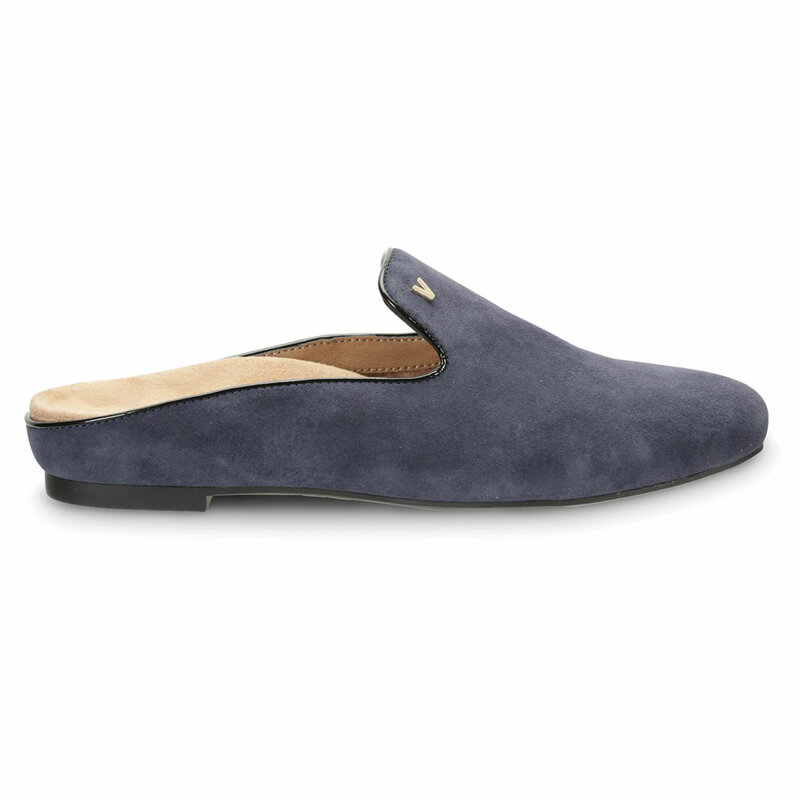 The Lady's Plantar Fasciitis Suede Mules come with The Hammacher Schlemmer Lifetime Guarantee. Items that we sell are guaranteed for their normal life under standard non-commercial use.